For 26 years I have watched Ms. Menard give of herself tirelessly to students, teachers, staff and the community in providing instruction, support and participating in initiatives to make a positive difference in the life of a student. Her teaching span ranges from kindergarten to university status where she has taught, trained and mentored. She goes beyond the call of duty in finding opportunities for students to shine. Her focus is on caring for the whole child by creating opportunities for students to receive scholarships, internships, educational and athletic travels and even health care provisions so that a student can be productive emotionally, socially and academically. 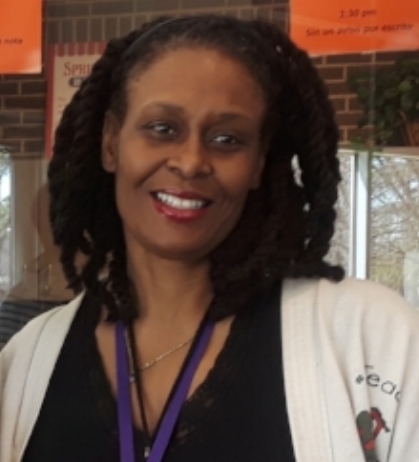 She creates unique ways to achieve student mastery in test scores and demonstrates outstanding leadership in partnerships with businesses in the community. Stars that shine the brightest are the ones closest to you. That is why Ms. Menard, my mom, is my shiny star and should be nominated as a 2018 Shiny Star. Her teaching efforts have made such a positive impact on my life that I too now serve as a teacher in hopes to continue to share the love she has given to thousands of individuals in her teaching career.